Print this free Clonidine Hcl Coupon to get the lowest price on your prescription medication. This discount drug coupon is pre-activated and can be used immediately to save up to 75% at your pharmacy. This coupon is accepted at over 68,000 pharmacies nationwide, including: Walgreens, CVS Pharmacy, Walmart Pharmacy, Rite Aid, Kroger, Kmart Pharmacy, and Safeway. Clonidine hydrochloride tablets are indicated in the treatment of hypertension. Clonidine hydrochloride tablets may be employed alone or concomitantly with other antihypertensive agents. Initial Dose: 0.1 mg tablet twice daily (morning and bedtime). Elderly patients may benefit from a lower initial dose. Maintenance Dose: Further increments of 0.1 mg per day may be made at weekly intervals if necessary until the desired response is achieved. Taking the larger portion of the oral daily dose at bedtime may minimize transient adjustment effects of dry mouth and drowsiness. The therapeutic doses most commonly employed have ranged from 0.2 mg to 0.6 mg per day given in divided doses. Studies have indicated that 2.4 mg is the maximum effective daily dose, but doses as high as this have rarely been employed. In patients who have developed localized contact sensitization to clonidine transdermal system, continuation of clonidine transdermal system or substitution of oral clonidine hydrochloride therapy may be associated with the development of a generalized skin rash. In patients who develop an allergic reaction to clonidine transdermal system, substitution of oral clonidine hydrochloride may also elicit an allergic reaction (including generalized rash, urticaria, or angioedema). The sympatholytic action of clonidine may worsen sinus node dysfunction and atrioventricular (AV) block, especially in patients taking other sympatholytic drugs. There are post-marketing reports of patients with conduction abnormalities and/or taking other sympatholytic drugs who developed severe bradycardia requiring IV atropine, IV isoproterenol and temporary cardiac pacing while taking clonidine. In hypertension caused by pheochromocytoma, no therapeutic effect of clonidine hydrochloride tablets can be expected. Patients should be cautioned against interruption of clonidine hydrochloride tablets therapy without their physician's advice. Since patients may experience a possible sedative effect, dizziness, or accommodation disorder with use of clonidine, caution patients about engaging in activities such as driving a vehicle or operating appliances or machinery. Also, inform patients that this sedative effect may be increased by concomitant use of alcohol, barbiturates, or other sedating drugs. Patients who wear contact lenses should be cautioned that treatment with clonidine hydrochloride tablets may cause dryness of eyes. Most adverse effects are mild and tend to diminish with continued therapy. The most frequent (which appear to be dose-related) are dry mouth, occurring in about 40 of 100 patients; drowsiness, about 33 in 100; dizziness, about 16 in 100; constipation and sedation, each about 10 in 100. The following less frequent adverse experiences have also been reported in patients receiving clonidine hydrochloride tablets, but in many cases patients were receiving concomitant medication and a causal relationship has not been established. Body as a Whole: Fatigue, fever, headache, pallor, weakness, and withdrawal syndrome. Also reported were a weakly positive Coombs' test and increased sensitivity to alcohol. Cardiovascular: Bradycardia, congestive heart failure, electrocardiographic abnormalities (i.e., sinus node arrest, junctional bradycardia, high degree AV block and arrhythmias), orthostatic symptoms, palpitations, Raynaud's phenomenon, syncope, and tachycardia. Cases of sinus bradycardia and atrioventricular block have been reported, both with and without the use of concomitant digitalis. Central Nervous System: Agitation, anxiety, delirium, delusional perception, hallucinations (including visual and auditory), insomnia, mental depression, nervousness, other behavioral changes, paresthesia, restlessness, sleep disorder, and vivid dreams or nightmares. Dermatological: Alopecia, angioneurotic edema, hives, pruritus, rash, and urticaria. Gastrointestinal: Abdominal pain, anorexia, constipation, hepatitis, malaise, mild transient abnormalities in liver function tests, nausea, parotitis, pseudo-obstruction (including colonic pseudo-obstruction), salivary gland pain, and vomiting. Genitourinary: Decreased sexual activity, difficulty in micturition, erectile dysfunction, loss of libido, nocturia, and urinary retention. Metabolic: Gynecomastia, transient elevation of blood glucose or serum creatine phosphokinase, and weight gain. Musculoskeletal: Leg cramps and muscle or joint pain. Oro-otolaryngeal: Dryness of the nasal mucosa. Ophthalmological: Accommodation disorder, blurred vision, burning of the eyes, decreased lacrimation, and dryness of eyes. Clonidine may potentiate the CNS-depressive effects of alcohol, barbiturates or other sedating drugs. If a patient receiving clonidine hydrochloride is also taking tricyclic antidepressants, the hypotensive effect of clonidine may be reduced, necessitating an increase in the clonidine dose. If a patient receiving clonidine is also taking neuroleptics, orthostatic regulation disturbances (e.g., orthostatic hypotension, dizziness, fatigue) may be induced or exacerbated. Monitor heart rate in patients receiving clonidine concomitantly with agents known to affect sinus node function or AV nodal conduction, e.g., digitalis, calcium channel blockers and beta-blockers. 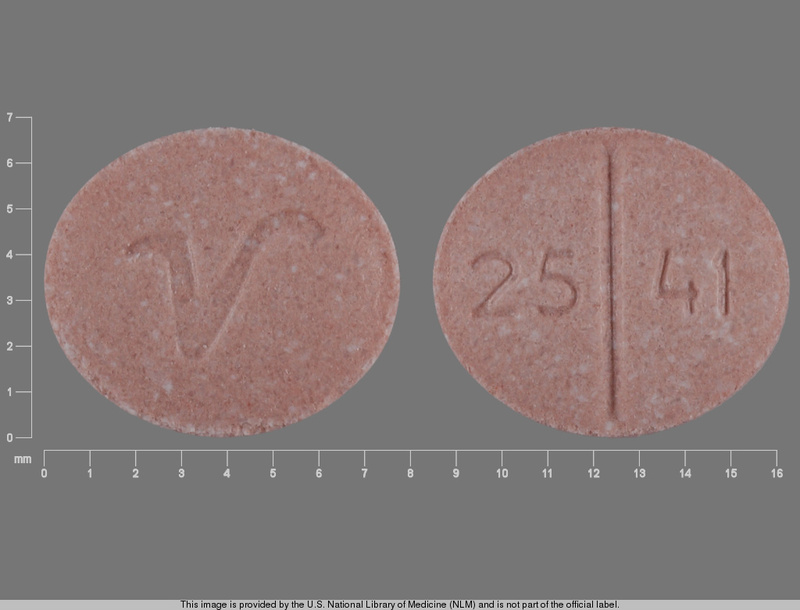 Sinus bradycardia resulting in hospitalization and pacemaker insertion has been reported in association with the use of clonidine concomitantly with diltiazem or verapamil. Based on observations in patients in a state of alcoholic delirium it has been suggested that high intravenous doses of clonidine may increase the arrhythmogenic potential (QT- prolongation, ventricular fibrillation) of high intravenous doses of haloperidol. Causal relationship and relevance for clonidine oral tablets have not been established.